The ever-popular Singapore International Jazz Festival – widely known as Sing Jazz – is back for its third year. 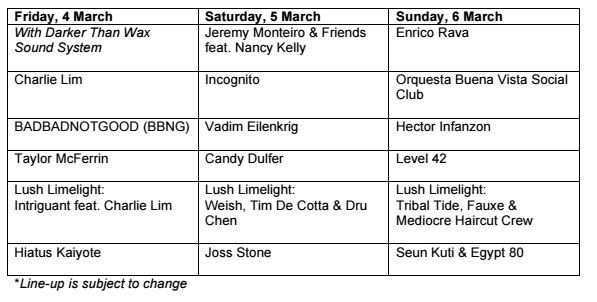 Held from Mar 4-6 at Marina Bay Sands, it’s all set to be a feel-good time for everyone, especially with these loved acts flying in from all over the world. We’ve singled out the top four acts to anticipate at Sing Jazz 2016; the full schedule of the festival can be found at the end. The most recently-announced addition to Sing Jazz 2016, British jazz-funk band Level 42 is an icon of music scene of the 80s and 90s, with its bassist Mark King coining a legendary playing style among bass players around the world. Joining the Sunday line-up, Level 42 is sure to add a hint of nostalgia to the evening. Sunday will also hear the smooth tunes of Russian trumpeter Vadim Eilenkrig, who has taught Pink Floyd’s Roger Waters to play the trumpet. Easily the icon of modern jazz and soul, award-winning English singer Joss Stone will be featured in this year’s festival. The crooner has consistently topped UK Albums and Singles charts, and won in the 47th Grammy Awards. Her latest album, “The Soul Sessions Vol. 2”, a sequel to her debut album, was released in July 2012, and is her fourth consecutive album to reach the top 10 on the Billboard 200. Performing on Saturday, Mar 5, she’s definitely an act to catch this year. How can we have a jazz festival without the master of jazz? 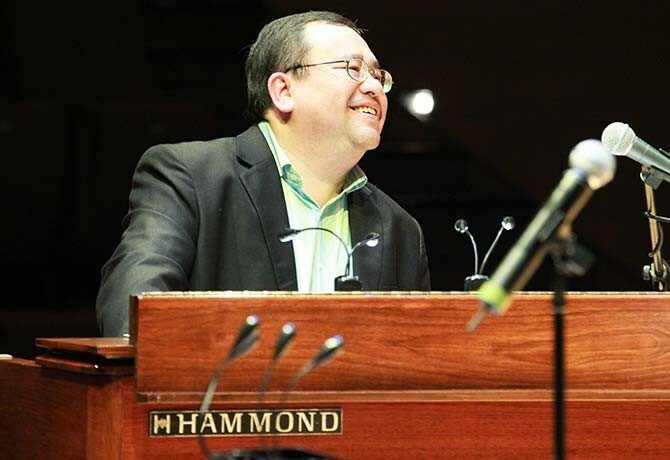 After performing all over the globe at international festivals such as the Montreux Jazz Festival in Switzerland, Monteiro still returns to his home in Singapore to bring the joy of jazz to us. This year, he will be performing with his band, Jeremy Monteiro & Friends, featuring guest vocalist Nancy Kelly. Charming local listeners with his velvety-smooth voice and melancholy musings, crooning chap Charlie is easily one of the rising stars of Singapore’s music scene. Watch him bring his top hits from his latest album, Time/Space, as well as his older works, to Sing Jazz 2016 on the first day. Check out more information on Sing Jazz 2016 here. The festival will run from Mar 4-6 at Marina Bay Sands.